Over recent weeks we have watched as several planets have appeared close together in our morning sky — when clear, that is — and even seen them shift their positions as the days passed! Beginning this frigid week and continuing into mid-February, five of Earth’s Solar System siblings will be visible, spanning the southern sky. This is the first time since 2005 that this planetary lineup has occurred. 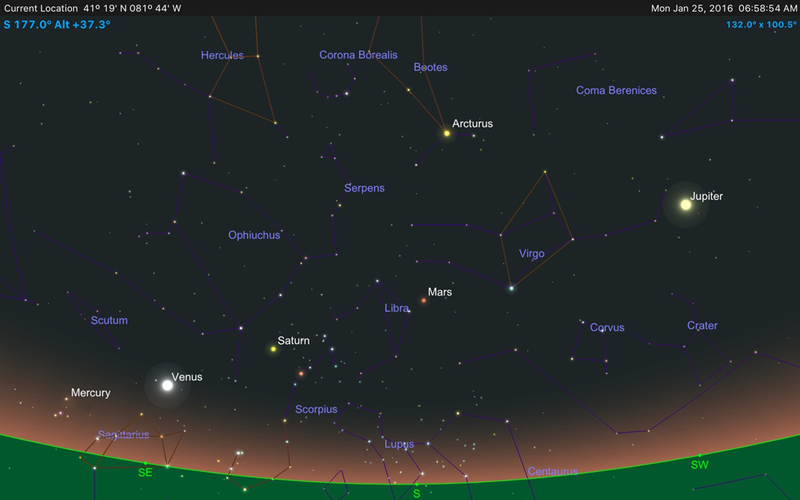 If we get a break in morning cloud cover go out, just before dawn’s early light, and look for the planetary parade. Little Mercury will be the hardest to spot being both dim and close to the horizon. Venus and Jupiter will be easy as they are the brightest of the bunch. Golden Saturn and finally reddish Mars should also be easy to find though Mars isn’t a standout. The gathering will occur again late this summer and in the evening sky. 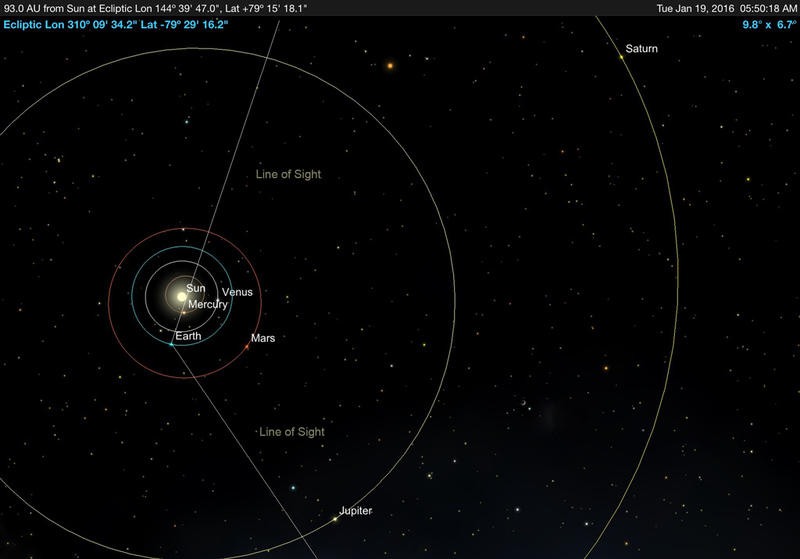 The planets aren’t really very much closer together in space during this time. The chart below illustrates the current relative positions of the planets; it’s our point of view from Earth that makes creates the scene: something like watching racers on a race track, appearing closer and farther apart as they run laps in their concentric lanes.